Imagine waking up one day, finding your beloved coffee maker sputtering about in its final death throes. It's a sorry sight, but while your coffee maker rests in peace, your brain and body are doing the exact opposite. How in the world are you supposed to make it through the day without coffee? 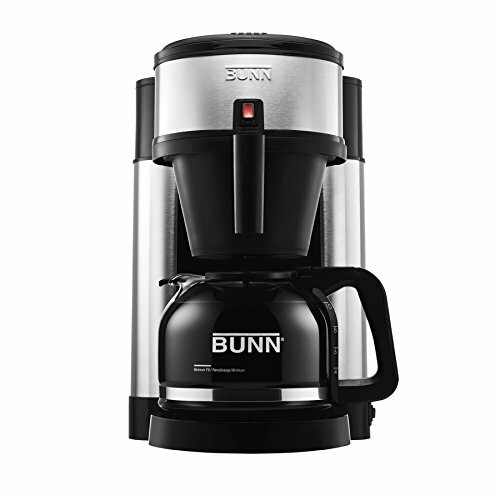 In a nation wherein 83% of adults are powered by caffeine, a suddenly disenfranchised coffee maker might just rank high enough on one's personal crises list to make it a major trouble. But fear not, our ancestors were able to get by without drip coffee makers themselves. They made their coffee the old-fashioned way - which is to say, they were able to brew coffee without a coffee maker. If they could do it, why can't we? In this article you will learn various methods on how to make coffee on the stove. We'll start off with the "emergency" methods first (aka, your first line of defense when your beloved coffee maker conks out on you). This is the most straightforward way to make coffee on the stove. If you haven't gleaned it from the title already, this method involves only a s﻿a﻿ucepan (pot), a stove, and your coffee of choice. Here's a quick video on how this process is usually done by a TosTinMan EasyCooking. Heat water in a pot and bring to a boil. Medium heat is fine. Just make sure to add more water than what you would normally use in a coffee maker. Add your coffee to the hot water. The suggested coffee ratio is one to two heaping tablespoons per eight ounces of water, but your mileage may vary depending on the kind of coffee that you use. Stir it slowly, just enough to circulate the coffee around the pan. Keep the pot uncovered and bring to a gentle boil (about two minutes). After boiling, remove the pot from the heat and let the coffee-water mixture sit for another couple of minutes to allow the coffee grounds to settle to the bottom. A lot of us coffee drinkers don't want grounds in their coffee. But there might be times when you don't have a coffee filter on hand, and the saucepan method just won't cut it. 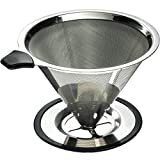 A great alternative is to use a fine strainer to keep the grounds out. Just follow the saucepan method mentioned above, and pour the coffee into the strainer to your mug. If you've made tea using tea bags before, then this method is very similar in principle. The equipment that you'll need is a coffee filter (which is something that most coffee maker owners have), and a piece of string. Take just enough coffee for one cup and pour it in the middle of the filter. Close the filter by wrapping it around the coffee. Tie it with a string, but make sure to leave enough length so that you can easily pull the bag out of your mug. Heat your water on a stove and bring to a boil. Pour it into your mug. Here we'll take a quick look at a couple of stove top coffee-making methods that require very specific equipment. These are perfect if you want to ditch your coffee maker entirely and want to venture into other forms of coffee making. 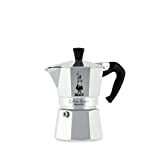 A moka pot is an Italian-made coffee maker that looks like a kettle. It can prepare coffee at a higher pressure and temperature than normal coffee makers, so its output is akin to what you would expect from espresso machines. One of the most popular brands of moka pot in Italy is the Bialetti expresso coffee maker. There are three parts to the pot, but using it to make coffee is pretty simple. First, you have to disassemble everything. Pour enough water into the bottom part so that it reaches the bottom of the valve, put your coffee in the middle strainer part, then assemble everything back together. Put the pot over low heat. Keep the lid closed. Eventually, you will hear a sputtering sound- this means that the coffee is being pushed up the top compartment. An Ibrik is a Turkish coffee pot. A lot of these things can be found on Amazon like the Mister Copper Turkish coffee maker. Using it is pretty similar to how you would prepare coffee in a pot. It's not the end of the world if your coffee maker breaks down. There are literally hundreds of ways with which you can make coffee without a coffee. Cultures around the world prepare coffee differently, some over open heat, other over a stove, etcetera. The art of making coffee can be simplified into two simple steps, if you think about it. First, you need a source of heat to boil the water, and two, you need to make the hot water come into contact with the coffee. That's about it. Who knows, these new methods might introduce you to new flavors of coffee that you might not have encountered before. Trying them might just widen your horizons and develop your coffee palate. I usually make coffee by cooking it simply in a saucepan, as I learned some years ago in Brazil and I greatly appreciate it. I found that putting the coffee into the cold water and making it heat slowly while stirring it delicately drowns the best flavor out of it. The flavour is quite different from coffee made with a paper filter, it is more thicky and complex. I find it is less harmful for the stomach made this way. I like true Italian expresso by the way, but it is a very different drink.